Sharing my love for food, bargains, and beauty! So, as you may already know, I love to find great products at a low price. As I was doing my makeup this morning, I noticed a majority of the makeup I use & buy is from Target. Target always seems to have some good deals on their makeup and a large variety to choose from. [Plus who doesn’t love an excuse to buy items from their dollar section] Many of these products can be found in other stores like Walmart, Ulta, Amazon, and CVS. I feel like drugstore makeup gets a bad rep because they’re “cheap.” To be honest, I’ve had better luck with some cheaper makeup brands than expensive ones! So, today I’m going to be sharing with you some of my favorite high-quality, low price products!! Let’s bring out your natural beauty on a budget! *All of the products listed below are for your benefit! I do not make any commission from you clicking the links. I am not super picky when it comes to primer, but this primer helps my makeup go on so flawlessly. Writing this post I found out that they actually released a bigger primer bottle! 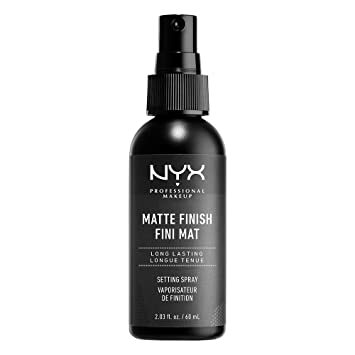 Their original primer bottle is now considered a small – .47 fl oz of product. The large one has 1.01 fl. oz of product. It may not sound like they have a lot of product in them, but they last for a decent amount of time, usually a month and a half for me. I mainly just apply it in my T-zone to help the pores in that area!E.L.F. is also having a HUGE Cyber Monday sale!! 60% off your purchase of $30 or more! [select products] They also have super cute gift boxes E.L.F. Cosmetics. I just bought $40 worth of make up for $20! They also have cute gift sets, perfect for Christmas! I love a soft beauty blender that makes applying my makeup effortless. These sponges caught my eye because of their unique marble design, but I loved them even more when I actually used them. The sponge gets into all the little spots like around the nose and under the eyes which is a big seller for me. I use my beauty blender damp and dry, but when I use it damp it works so much better! Look how pretty these are?! These sticks have saved my skin from looking so red and dull! Whenever I have a problem area from pimples or dark circles under my eyes, I use the green and light orange color correcting sticks. These sticks last so long, so for the price [$4!!] and the longevity of the it, this is by far one of the best values. This brand is also cruelty free – yay! The green stick – used for correcting red spots. Green cancels out red making the area appear more neutral. When foundation or concealer is placed on top of it the green color fades away leaving your skin looking beautiful! The lighter orange shade stick – helps cover dark spots. I originally bought this stick when I had the worst acne breakout last year, leaving me with a few dark acne scars. I put this on top of them with a little bit of concealer and they weren’t noticeable! I use them under my eyes because they make my dark under eyes appear brighter, too. They also have a dark orange stick for darker skin tones. This has been one of my favorite concealers since high school. The coverage that comes with this concealer is crazy! It has a buildable coverage and does not crease or streak for me. I dab this into my skin with a wet beauty blender. Whenever I don’t feel like doing a full face of make-up I’ll set this on any problem areas and under my eyes, add a bronzer and I’m done! I first tried this foundation over the summer when I was a little bit tanner and loved the coverage. It is a light-medium coverage perfect for hot summer days, but it is also buildable and covers problem areas/pimples well. Especially when paired with the Fit Me! Concealer. This foundation doesn’t oxidize either [turn orange-ish when exposed to air], which is a problem I had with a lot of other drugstore foundations. I have oily skin and ever since I started using this setting spray, my skin does not get oily as quickly as it used to. I hate when my skin looks oily [personal preference] and this setting spray fixes that. Of course I still have to touch up once in awhile, but overall I feel like it really helps to control my oily T-zone. This is also currently on sale at Ulta for $5.09 vs the normal $8.49!! They also have a dewy finishing spray if that’s the look you prefer! Phew that’s a mouthful for mascara. This is my favorite mascara. The wand separates every lash, so I never have a problem with clumping. I have somewhat long lashes to begin with, but this mascara makes them look LONG. It comes in waterproof and regular. I always go for mascara that is not waterproof because it’s much easier to get off when I wash my face at night. One last E.L.F. product to finish this out! Their eyeshadow palettes are the best and SO affordable. The pigmentation is seriously impressive. Kylie Jenner who? [kidding] I use their Rose Gold Eyeshadow Palette – Sunset. I love warmer colors with my skin tone and eye color and I love the extra shimmer. For only $10 it doesn’t get much better than this! These are some of my favorite budget-friendly makeup products! For simple brushes like eyeshadow brushes I usually go with E.L.F., shocker I know, but I also have a lot of brushes from when I was an IPSY subscriber. I have cancelled that subscription, but I was sent so many brushes that I have a ton leftover. The only brushes I really use are for: total face, contour, blush, and eyeshadow. Let me know some of your thoughts or what products you use, too!